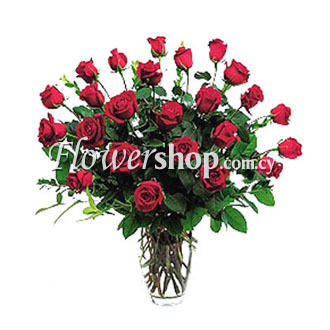 This arrangement will suit any festive occasion because it is a traditional rose, recognized as the Queen of Flowers, satisfying modern and old alike, since everyone can appreciate their sheer beauty and grandeur. Thirty of the freshest roses are basked here in a vase with fresh natural green matter will offer its bearer many joyful hours. There is no better way to express your feelings on Valentine�s Day than by putting it on the roses themselves. 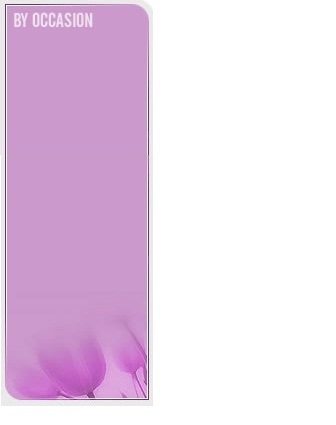 Select this calligraphic message with golden colour as shown in the picture on the left. "Happy Valentine's Day" with a message to be embossed on the petals of the flowers.What an extraordinary gift from the heart. Your Valentine will certainly appreciate this gift. Make each moment count! 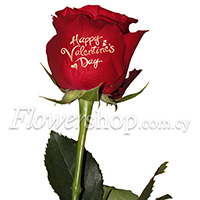 Red Roses, Decorative, Natural Green, on 4 of them there is an embossed message "Happy Valentine's Day"